All prices are in USD & tax inclusive. If you require a custom tour or need more information please contact us! Read carefully and if you have any questions please contact us! Water. Say what? Water! No, we aren’t being tight. As a company who values sustainability and not plastic, we ask that each participant bring their own bottle (hopefully reusable). We promise that we will make it up to you in other ways! Tips (optional and with absolutely no pressure). 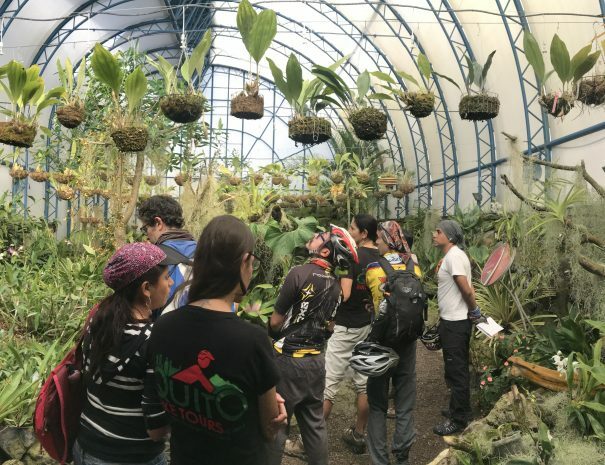 We are not a free tour and you can be sure that we pay our guides properly. However, if you wish to tip your guide you can absolutely do so. You can also be assured that not one cent (and that’s the way we want it!) will go to the company. 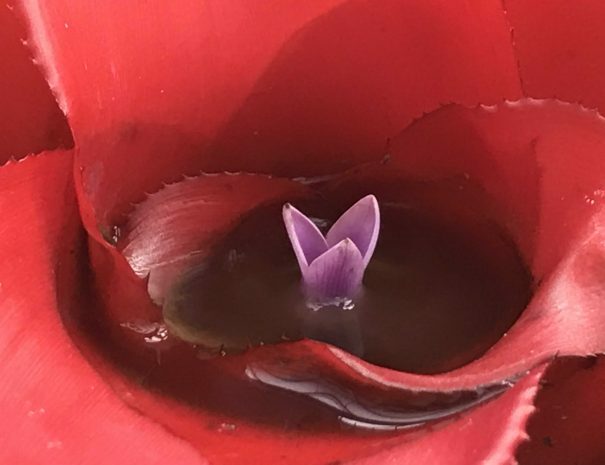 Whatever you wish to give to your guide goes 100% to him or her! A great altitude! Oops sorry, attitude! WATER! In our quest to help save our planet, we advise you to bring your own water or water bottle. Please arrive 10 minutes prior to the start of the tour so that we can leave on time. Please read our Refund Policy, under FAQs. 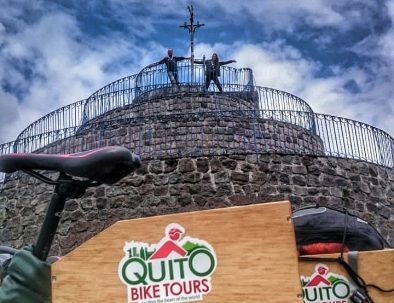 Keep in mind that Quito is 2867 metres above sea level. Although this is an easy ride, give yourself at the very least, one day to acclimatise. It is imperative that you have current travel insurance including personal medical insurance. 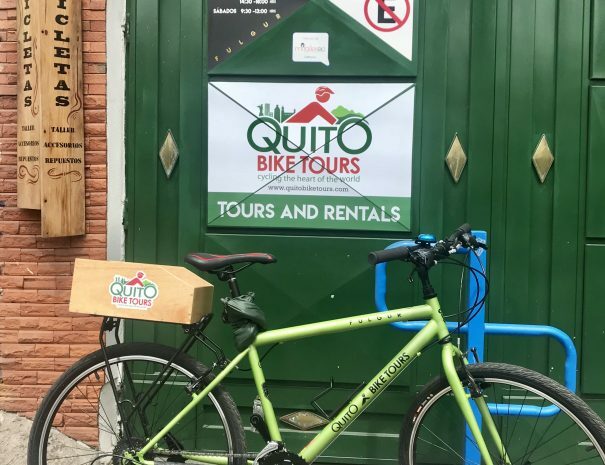 If you do not, UNDER NO CIRCUMSTANCES will Quito Bike Tours be held responsible for any injuries incurred. Please inform us of any known medical conditions you have. We are happy to answer any questions that you may have but please check our FAQs first, to make sure that it has not already been answered. NOTE: Quito Bike Tours reserves the right to change the itinerary without previous notifications due to unforeseen circumstances or weather. 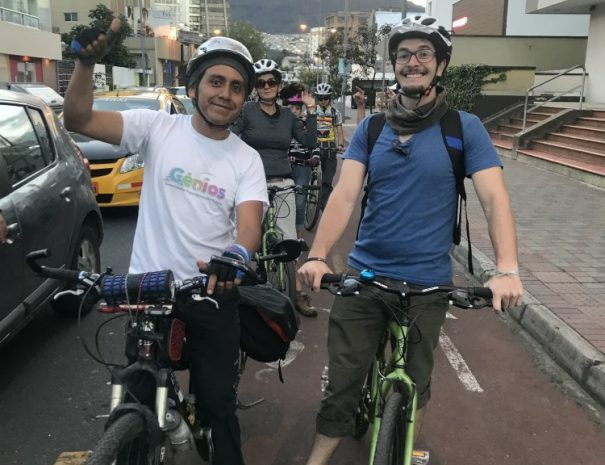 Internationally Certified - Keeps you protected whilst on the road - Strong, durable, safe - Keeps you cool under Quito's sunny skies - Looks good ... well we think so! 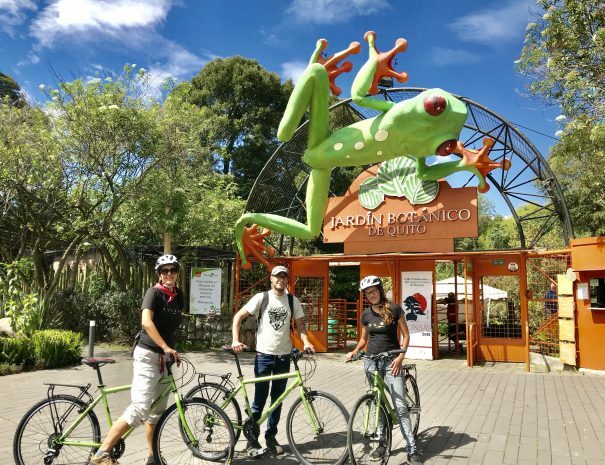 Explore La Floresta, Mariscal, La Carolina Park, Iñaquito and much, much more! We start from the iconic Ochoymedio Arthouse Cinema. 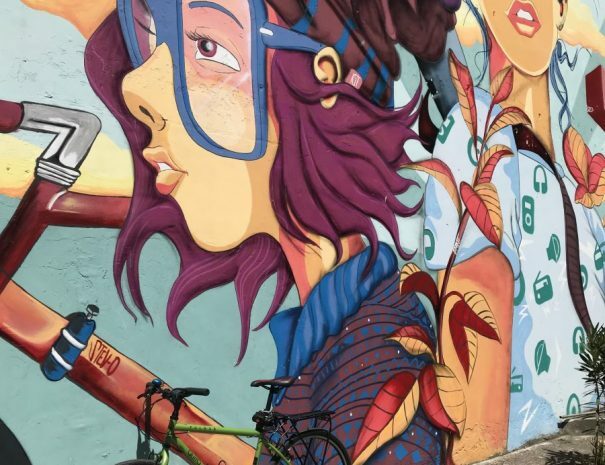 We take a look at the amazing street art around La Floresta as well as tell you about some of the artists who painted them. 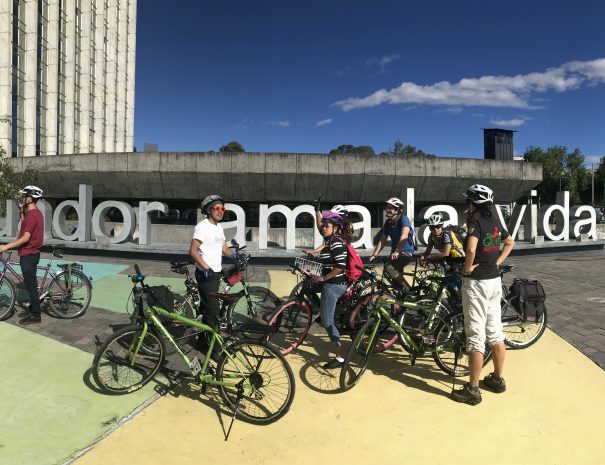 We make our way to Carolina Park and visit the Botanic Garden, riding along Amazonas Avenue, one of the main arteries of the modern city. We get to stop for a pretty cool photo shoot too! 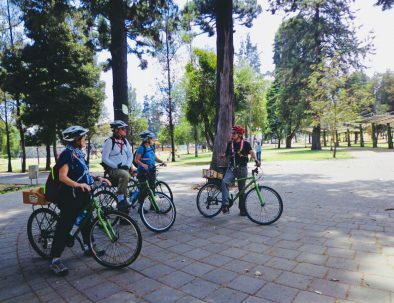 We cycle through Carolina Park and see a mysterious energetic point. 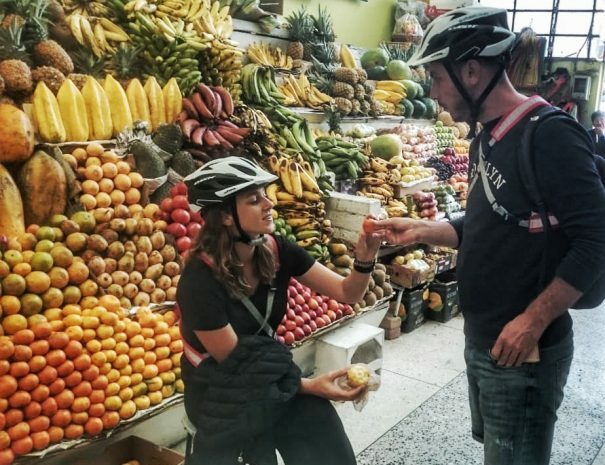 We make our way to an iconic fruit and vegetable market, and along the way get to see and stop in Quito’s modern area. Experiencing a local market is a must in any city . This iconic and colourful market dates back to the 70s! We make our way back, via Carolina Park once again; there’s always so much going on giving you a real insight as to how the locals live. 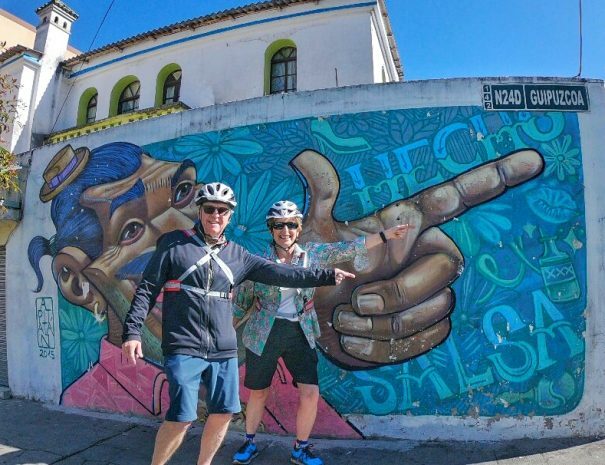 Making our way past an impressive 50-metre tall mural, we finish our tour at La Cleta Bici Cafe located in La Floresta, only a block from where we started. Upon arrival, the café will give you a FREE drink and a snack, as well as offer you 10% off all food! "A cool ride with some really interesting stops. Something totally different and not typically touristy. Would definitey recommend it". "Me gusto muchisimo. Lleve a mi familia de los EEUU y estaban encantados. Los guias hablan inglés tambien. Muy divertido". This is our left of-centre tour. 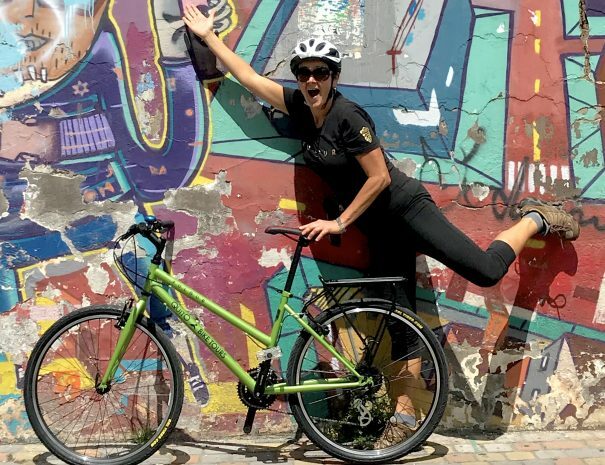 Discover local life as you pedal your way around to see art and experience culture. Chocolate tasting, history, street art, markets, parks and great views await you. Explore on your own or with friends. 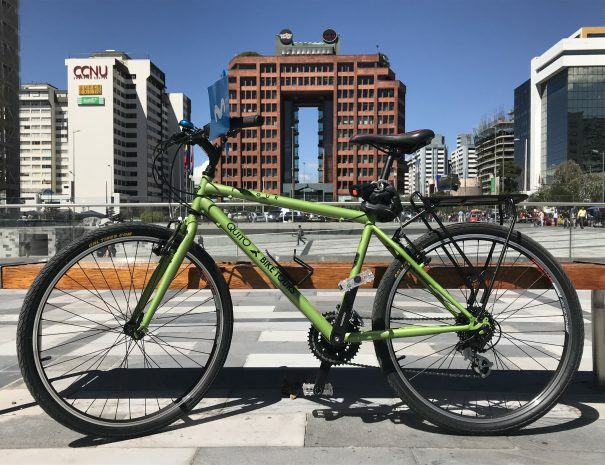 Nothing beats the experience of visiting a city on a bike. 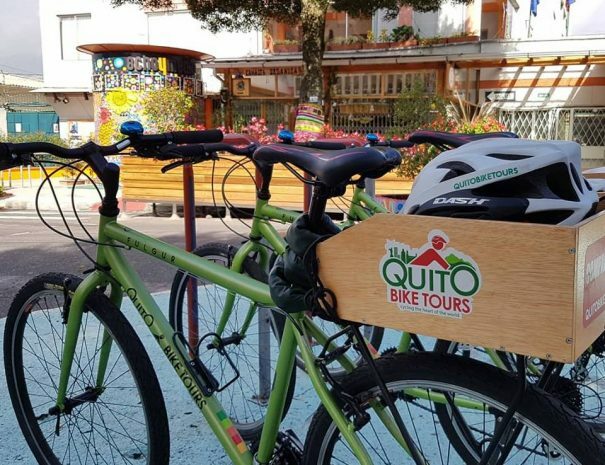 There are many places to visit in Quito; parks, museums, markets and much, much more. Experience both worlds. Quito Center & central north areas. 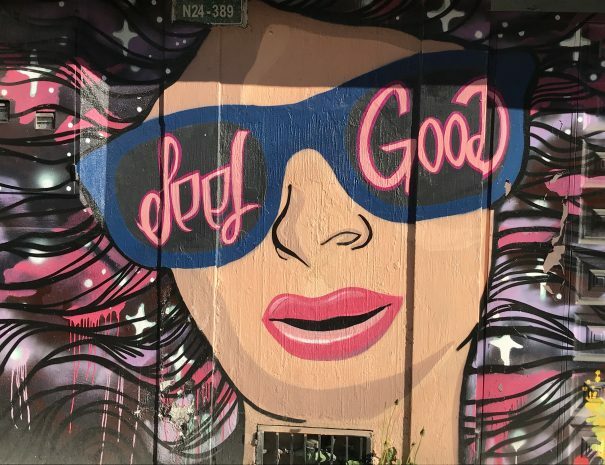 Learn, Feel, Taste, Enjoy Local culture and Urban vibes!